Ultimate performance for the hunt. 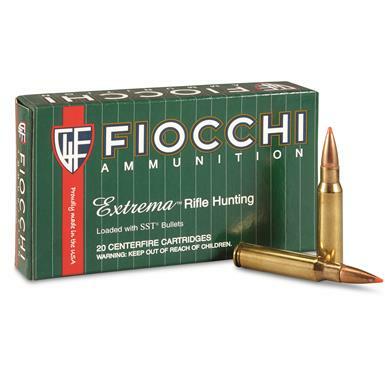 Fiocchi Extrema, .308 Winchester, SST, 180 Grain, 20 Rounds is rated 4.8 out of 5 by 6. Rated 5 out of 5 by Krazy from Super Value I use a lot of Fiocchi , and never had any issues. It is well priced and high quality. Shoots very accurate. All shoots very clean. What more could you ask for. Rated 4 out of 5 by JTP55 from Fiocchi SST 180 gr. 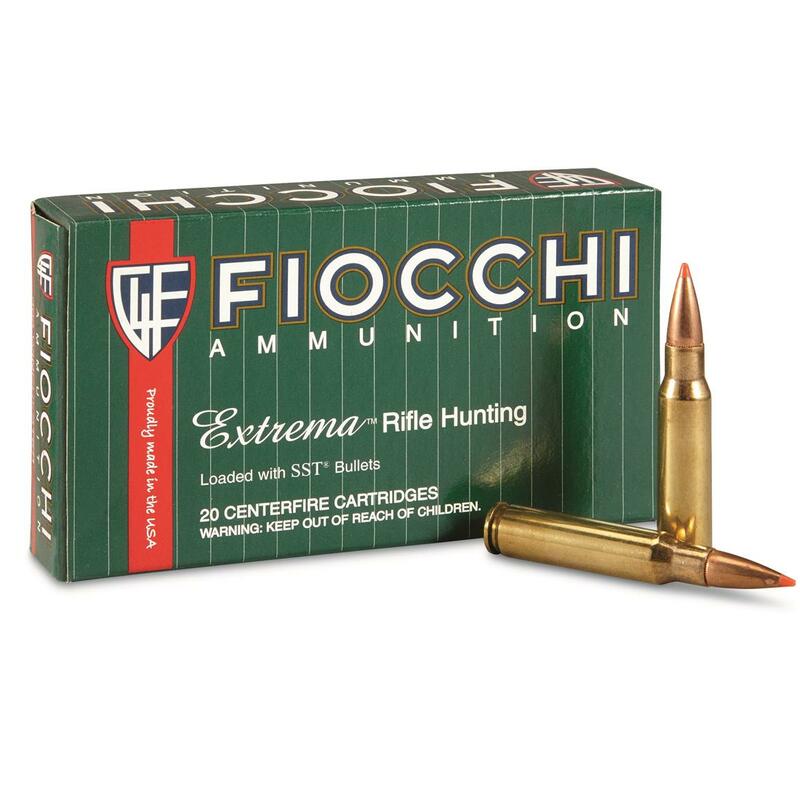 w/ XBolt I ordered these SST tipped Fiocchi bullets to try something a little different for hunting, and I'd have to say I think they will do just the trick. I recently used them for an Antelope hunt and they worked superb. Rated 5 out of 5 by Big Mac from Excellent ammo I'm very impressed with the performance of this ammo. Great groups and flawless function. I'm looking forward to deer season to see how effective it is on the local whitetails. Rated 5 out of 5 by Survivor from Great Deal! Good looking ammo, good price. Ordered early in week, received on Friday, Deer season opening next day...lucky to live in rural area, stepped off 75 yards, set up target, fired two shots, both hit in a 1 inch bulls eye out of a Saiga .308. Loaded up magazine, goes hunting with me. Would buy again without hesitation. Rated 5 out of 5 by KEN from So far I have only been able to shoot them through my PTR91, but I finally picked up my precision rifle and will begin break-in and zero when all this rain lets up. I expect good thing though, given the performance through the PTR91.